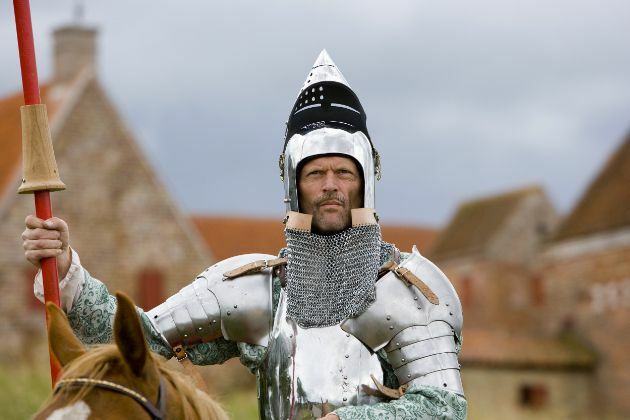 Seventeen jousters, including several female jousters, who have demonstrated their skills in previous tournaments around the world will be competing at this year's European Championship Jousting Tournament which will be held at Spottrup Castle in Denmark, July 23 – 27, 2012. This event is sanctioned by both the International Jousting Association(IJA) and the International Jousting League(IJL), and the winner of this tournament will become the 2012 European Jousting Champion. 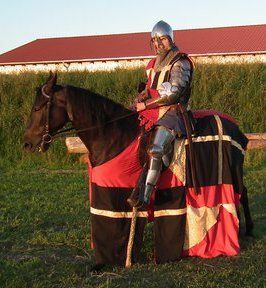 Klas Lundgerg is the current European Jousting Champion and will be defending his title in 2012. He has been riding since age 6. He started with dressage and jumping, but nowadays, he mostly rides western and competes in classes such as reining, herdwork and roping. He also makes armour parts, spear tips, etc... However, his day job is teaching welding. He has been in the Celeres Nordica jousting troupe as a knight since 1994. 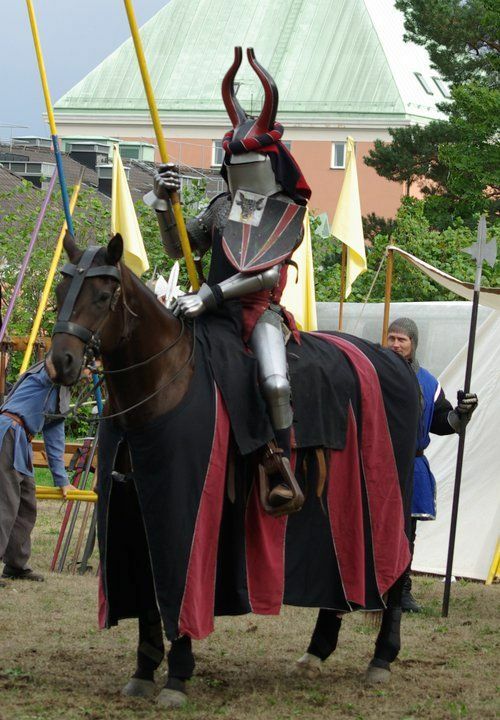 He tried competitive jousting and competed internationally in IJA World Championships 2005. He's an IJA level 4 instructor. Per Nurlund is part of the Celeres Nordica jousting troupe in Sweden. He has been riding since 1968 and has been training horses since 1980. 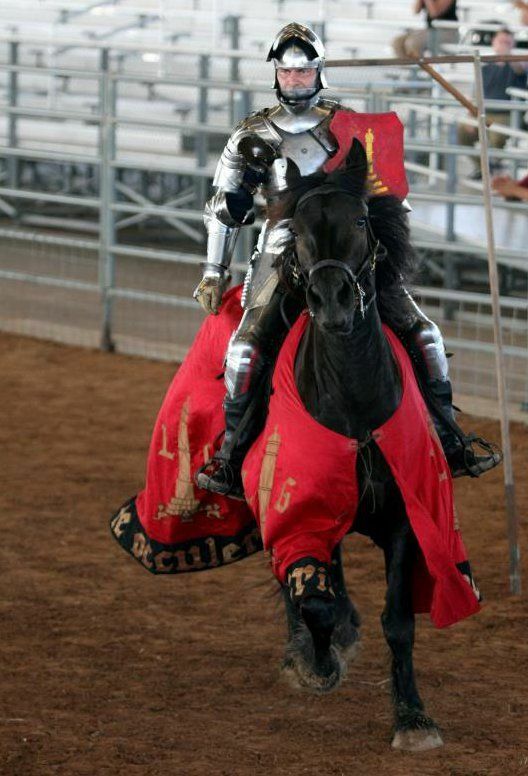 Lately, he has been working to develop a better jousting saddle. Per has only recently started jousting. 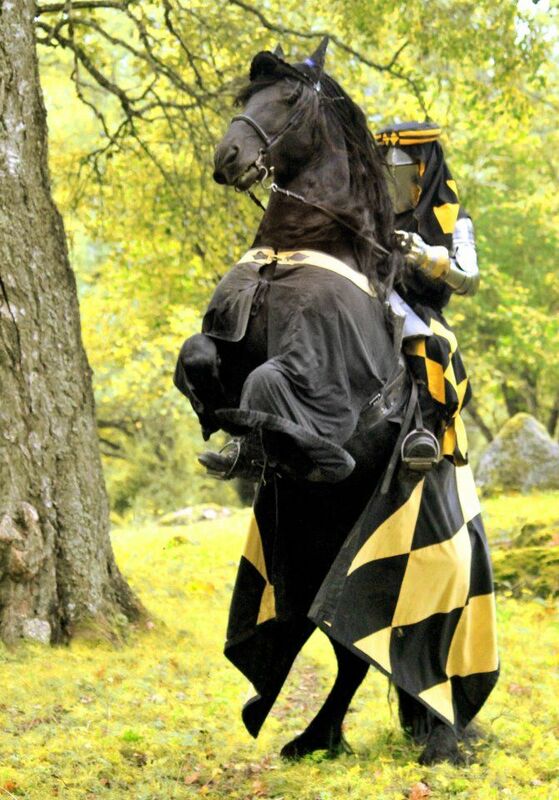 He has participated in several jousting competitions in Sweden, but this will be his fist international event. 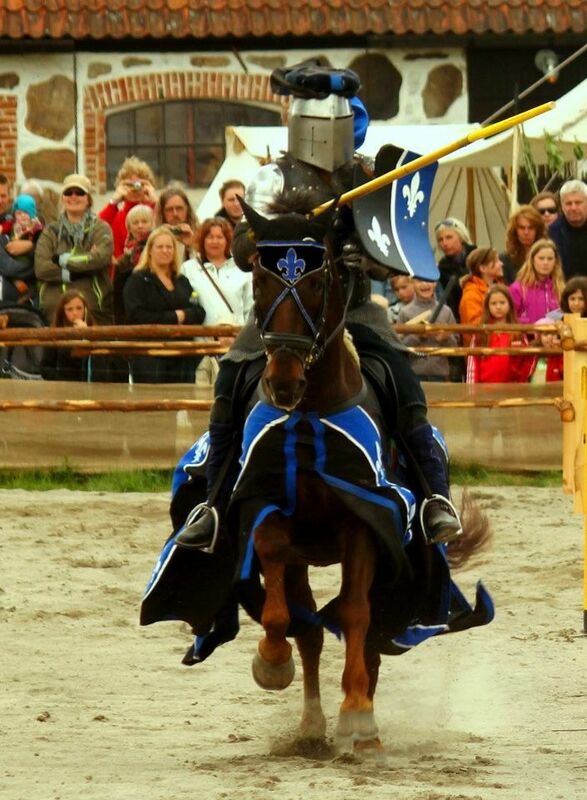 Gunnar Cederberg has experience jousting with the Celeres Nordica troupe in Sweden. He is only 19 years old, but has been riding since he was 6, mostly dressage but also jumping. He has been riding in tournaments for many years, but this will be his first international event. Mathieu Kevers is a 24 year old from Belgium. He is part of the Compagnie des Hackamores jousting troupe. He is an experienced rider and has competed in tournaments for some years now. This will be his first competition in Denmark. Toby Kaas is a descendant of one of the old knights of Denmark. He jousts with the Himmerlands Middelaldercenter. 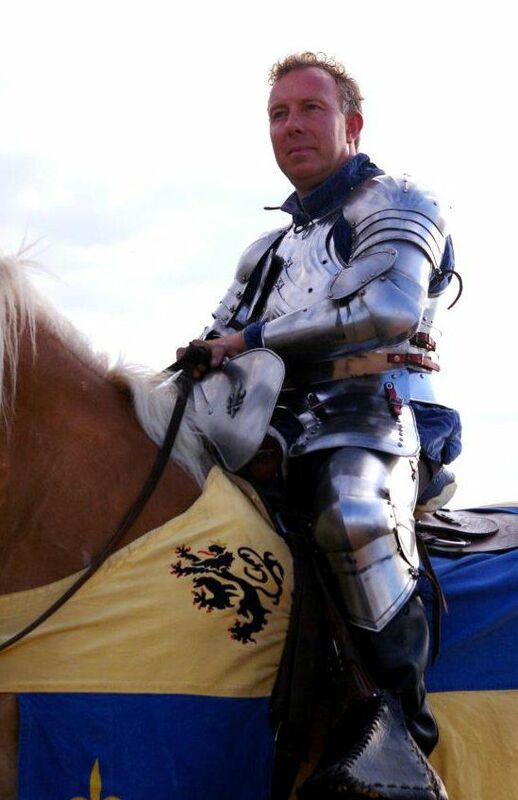 He has done a lot of jousting and knights tournaments in Denmark. Luc Petillot has been riding for many years, and is one of the best knights in France. 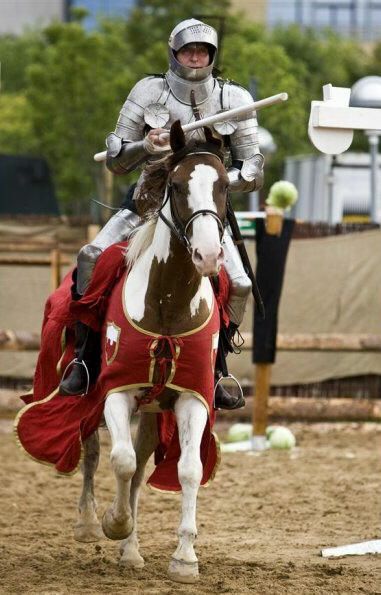 He has been jousting for the last 10 years and is one of the key members in the International Jousting League. He is the manager of the group Excalibur ile de France. Xavier Fauvel rides with the Excalibur ile de France jousting troupe. 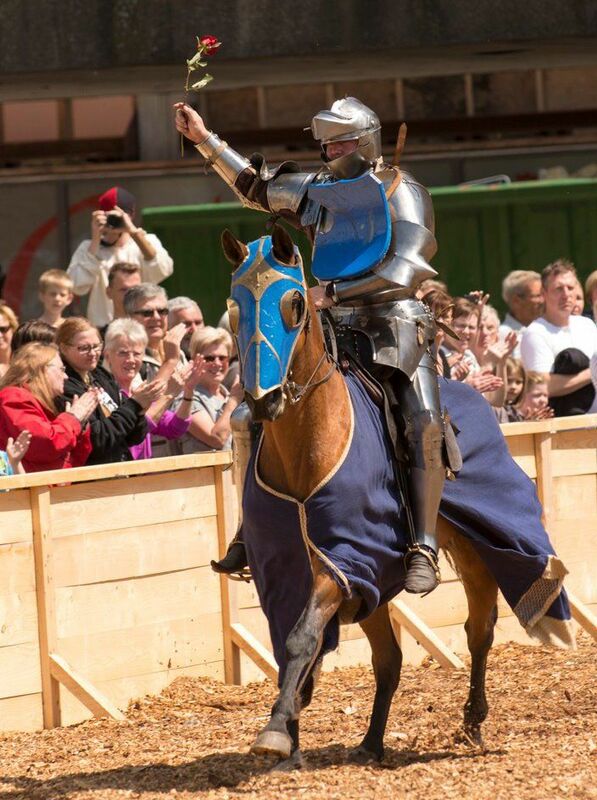 Also known as Xavier de Gonneville, he has been jousting since 2001 and is a well-known competitor around Europe, however, this will be his first competition in Denmark. He won the European Championships in 2003 and 2004. He participated in the World Championships in London, Canada in 2003, and was the winner of the Polish tournament in Golubsky Castle in 2011. 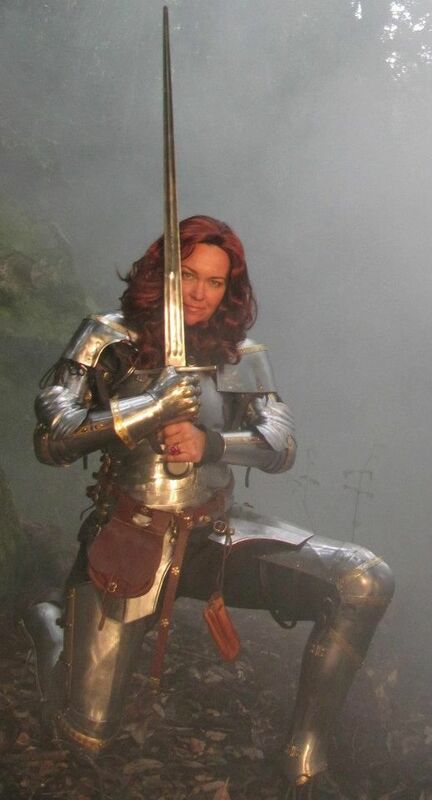 Marie Baron is a seasoned jouster and a fierce competitor. She has been in the jousting troupe Excalibur ile de France for 8 years and has participated in many international tournaments in the the past few years. Petter Ellingsen rode his first horse 14 years ago, and has been jousting the last 13 years. He runs the company Ridderhest and was the organizer of the first Norwegian championship in jousting. 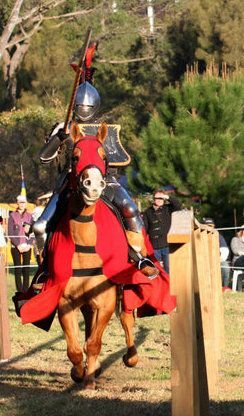 He is an IJA grade 4 jousting instructor and has done shows and competitions in Norway, Sweden, France, Belgium, Germany, Canada, Poland, New Zealand, USA, Australia and England. Overall, he has participated in more than 300 shows and tournaments. Sonora 2006 – joust, 1st place. Ivar Mauritz-Hansen began his knightly career in 2007 when he became a member of the reenactment group De Norske Frilansene Compagnie d'Oslo in which he started out as a foot soldier. He also began training to ride horses, focusing on knightly riding, at The Riding School of Trollspeilet, where he is still being instructed by Per Estein Prøis-Røhjell. In the winter of 2010, Ivar bought his horse Laszlo, a Holsteiner gelding, which led to more training and even more focus on knightly riding and sports. 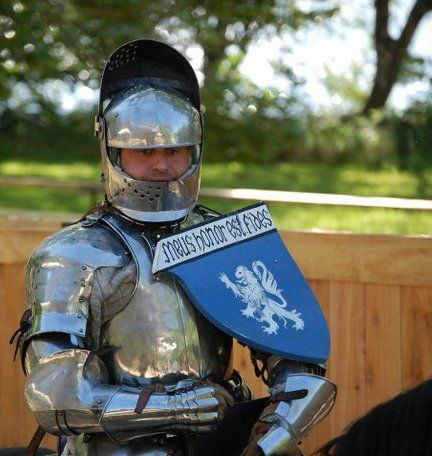 In the spring of 2011, he was accepted into the riding group of Frilansene and has since participated as a knight in most of the battles and tournaments that Frilansene attends. Nicky Willis has been riding since she was 11 years old. She has tried lots of different riding disciplines such as dressage, jumping, western, driving and tournaments. For the past four and a half years, she has worked for Tournament Stud, where they breed, train and joust the horses. She has been doing Mounted Skill at Arms(MSA) and jousting for several years. Her first joust outside England was in Belgium in 2010. The tournament at Spøttrup Borg will be her third joust representing England abroad. Sarah Hay is from Australia, but will be riding for England. She has been riding for over three decades in a variety of disciplines such as western, dressage, jumping, sporting, side saddle, mounted archery and jousting. 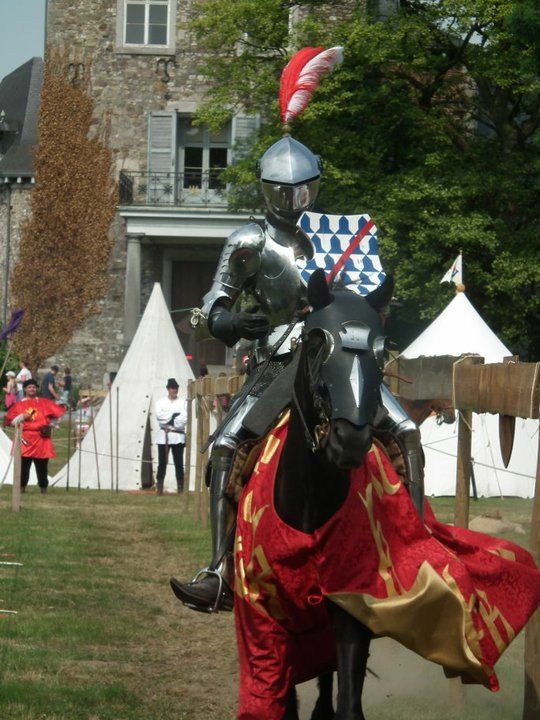 This is her fourth year of jousting, and her third year of competing internationally. In recent years she has won international tournaments in both the northern and southern hemispheres. This extremely accomplished female jouster is not a member of any jousting troupe, but is a member of the International Jousting League. Although Darth Rimmer is from the US, he will be riding for England. 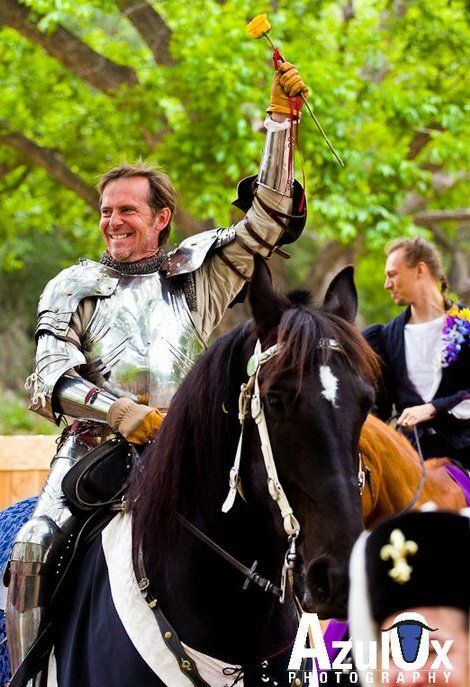 He began medieval foot combat at the age of 16 and began jousting in 2009 after attending the Sword of Chivalry tournament. He is a member of the Knights of the Golden Sun and participates in re-enactments of many different time periods including Medieval, Ancient Japan, Great War and WW2. His motto is: "Per Angusta in Augusta" (Through difficulties to great things). Ulrich Kiener began riding in 1990 (English, western, horsemanship). 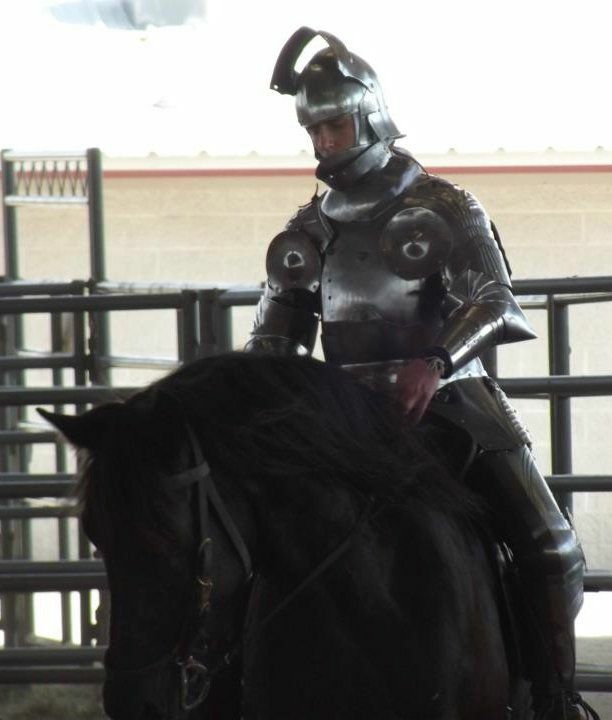 His first experience with a jousting tournament was in 2006, and he has competed in several tournaments since then. 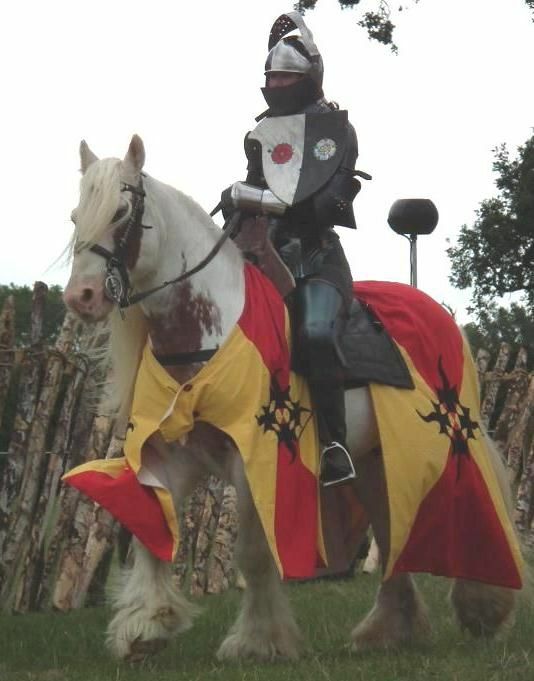 He is a member of the Societas-equestris, and he and his wife run the IJL Team Germany “Deutsche Tjostvereinigung” and give seminars for Mounted Skill at Arms and jousting. In 2000, Ulrich also began historical sword-fencing, and has participated in several competitions both semi and full contact. For more information about the European Championship Jousting Tournament at Spottrup Castle in Denmark, see the previous article about this event and/or see the Spottrup Borg website.